We design, build and maintain websites for small to medium sized companies and non-profit organizations. We gear our design to the needs of the organization. We can create a simple one-page site, or an integrated package that combines content management, email marketing and online shopping, with integrated contact management and in-depth analytics. Contact us today to talk about your needs and get started building your web presence! 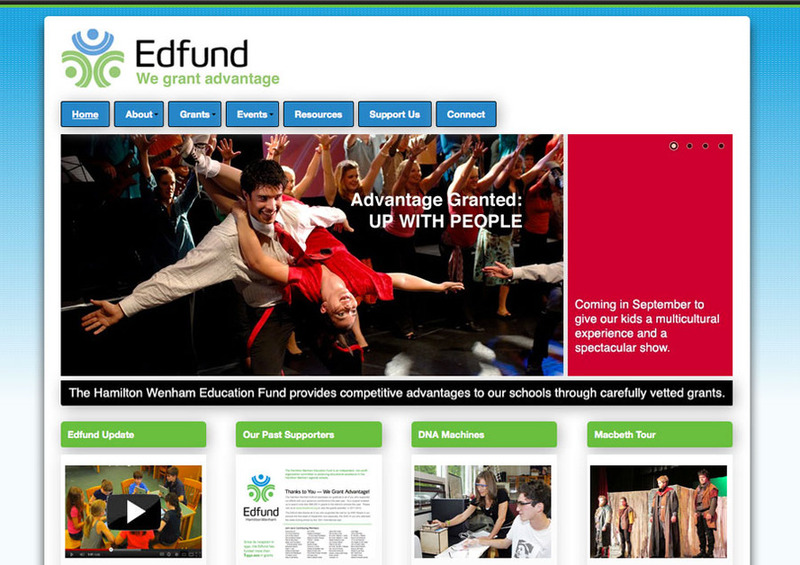 This is a screen shot from the Hamilton-Wenham Edfund website, which is built with a responsive design (works on smart phones, tablets, and desktops).